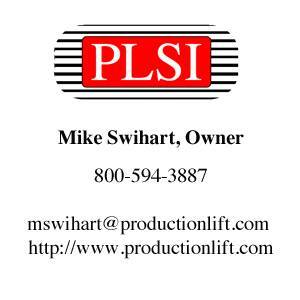 Mike Swihart says many Permian Basin oil companies that may have been too busy to check out plunger lift at $100 oil are making the switch in the current low-price environment because they save a lot of money on their lifting costs. 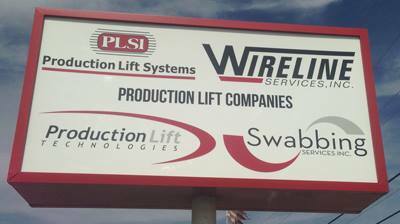 “Management is telling their engineers to innovate, to look at every available option, don’t just automatically ‘cadillac’ everything,” said Swihart, owner and CEO of Production Lift Systems Inc., which is located in Midland, Texas and focuses on servicing Permian Basin oil and gas producers. A big advantage provided by Production Lift Systems is offering a complete package of plunger lift-related products and services. Plunger Lift Systems Inc. is comprised of four companies providing plunger lift, remote well monitoring, wire line, and swabbing. Another advantage offered by Plunger Lift Systems Inc. is separating sales reps and field technicians, unlike other plunger lift companies that require one person do both sales and service. Swihart has found over the years that sales and service are very different skill sets. 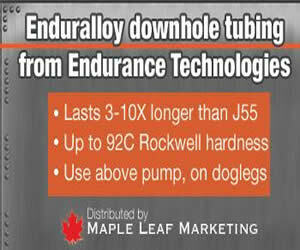 “Our sales people are highly trained professionals. Some of them are engineers. They provide better feedback and reporting to the customer, more monitoring at a higher level of expertise,” he said, noting that the quality of the customer account is improved with a professional sales person. Plunger Lift Systems Inc. grew 40 per cent last year and will experience similar growth in 2016. Swihart says that continued low oil prices and operator priorities to lower costs will drive his company’s business expansion. “I don’t see oil going to $100 any time soon. We’re probably in a long, slow process here in the Permian Basin, so interest in our technology is going to increase for quite awhile,” he said. 96 Comments on "Plunger lift use rises in Permian Basin as producers cut costs"